One candidate is “hiding in the bunker of secularism”; another invokes God to preserve India from her opponent’s economic model. A politiciking yoga teacher with millions of followers is investigated for hate speech; the youngest adult member of the country’s foremost political dynasty calls the opposition “baffled rats”. 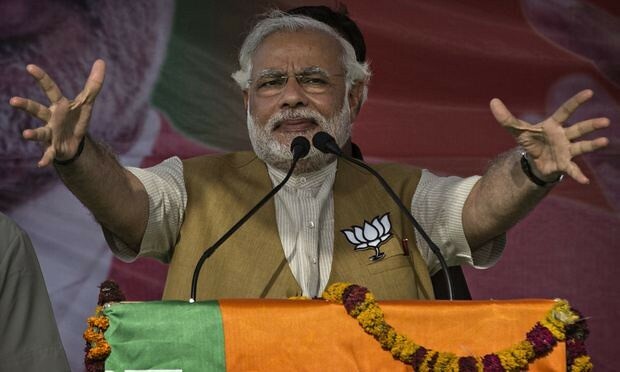 And the Indian election moves into its fourth week. In April, India’s 814 million eligible voters are due at the polls. 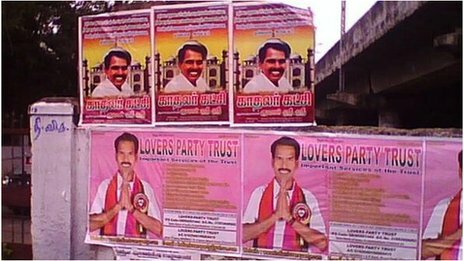 There are more than 1,600 registered political parties – some with very unexpected names. 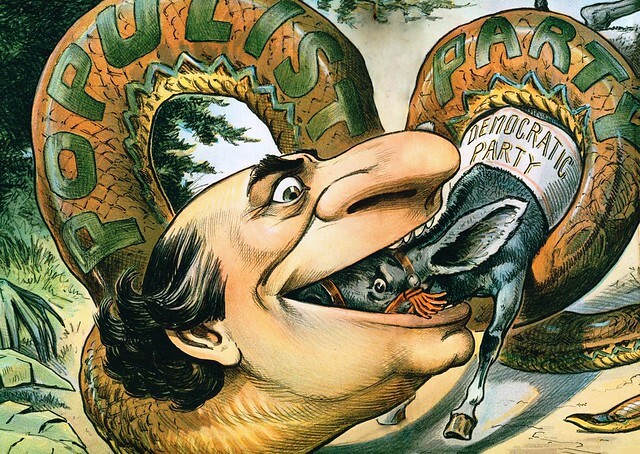 Read more about the Poor Man’s Party, The Yours-Mine Party, The Oceanic Party, The Pyramid Party, and the Stay Wake Party at “Indian political parties with strange names.” And lest one think that India has a hammerlock on creative party names, consider the active parties in Australia (which include the Party! Party! Party! 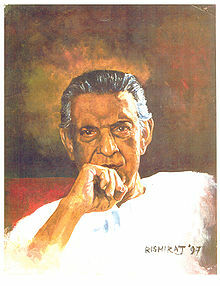 Party) and in the U.S.
As we exercise our franchise, we might send elegiac birthday greeting to Satyajit Ray; he was born on this date in 1921. He was a writer, publisher, illustrator, calligrapher, graphic designer and film critic, but is best remembered a filmmaker. Considered on the greatest auteurs in world cinema history, Ray directed 36 films, which earned scores of awards, including 32 National Film Awards by the Government of India. He was one of only three filmmakers to win the Silver Bear for Best Director at the Berlin Film Festival more than once, and holds the record for the most number of Golden Bear nominations, with seven. At the Venice Film Festival, where he had previously won a Golden Lion for Aparajito (1956), he was awarded the Golden Lion Honorary Award in 1982. That same year, he received an honorary “Hommage à Satyajit Ray” award at the 1982 Cannes Film Festival. The Academy of Motion Picture Arts and Sciences awarded Ray an Honorary Oscar in 1992 for Lifetime Achievement. He is the second film personality after Chaplin to have been awarded an honorary doctorate by Oxford University. 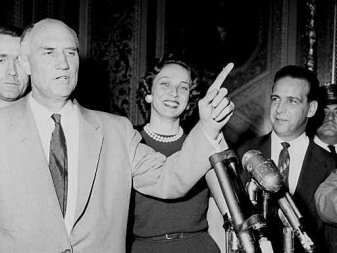 As political discourse in the U.S. has devolved into the nastiest kind of spitting match– dramatic thesis, passionate antithesis, no synthesis– antagonists on all sides of every issue invoke the Constitution, its Framers, and their intent… which, it seems, can be understood to justify just about any position. Most historians are very skeptical about the way that the Supreme Court is [interpreting the Constitution]. To reason accurately about the past is much trickier than one might think. 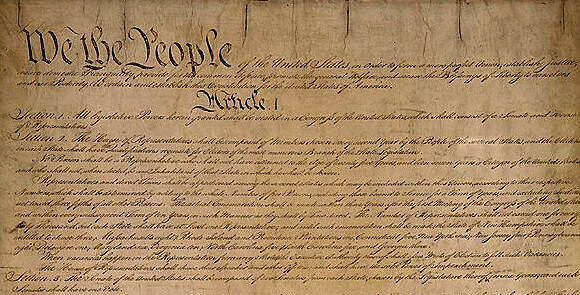 The current version of originalism is what’s called “public meaning originalism.” It says we don’t really care about the history of how these provisions got adopted, we’re not going to try to reconstruct the debates to figure out what the framers wanted and what the ratifiers thought. We just want to get at the holistic meaning of the language. To historians this is a terribly flawed enterprise, but that’s the current regime… Language is dynamic. As the work of many historians, including my own work, attests, the 18th century was a period of political experimentation. The framers were rethinking the nature of representative government, they were rethinking the nature of executive power, they were coming up with new rules for judges. All this required a terrific amount of creative political thinking. The idea that language was fixed when all these ideas were being stretched and pressed in different directions, the idea that the meaning of a text is frozen at the moment of its adoption, it just strikes most historians as inane. You’ve said that historians should call the bluff of people who twist the history of the Constitution for instrumental purposes. Please call someone’s bluff. I submitted a brief in the District of Columbia vs Heller case, from three years ago. That was the case in which the Court struck down a 32-year-old handgun ban as incompatible with the Second Amendment. I think there are intellectual embarrassments of the first order in Justice Scalia’s opinion. He wholly ignores the history of how the Second Amendment got adopted. He makes things up that did not happen the way he hypothesizes. But I’m a historian and he’s a Justice. I’m a private citizen and he’s a public official. I think I have better footnotes, but he has a vote on the Supreme Court. Read the entire fascinating interview (and order any/all of the books Rakove recommends) here. 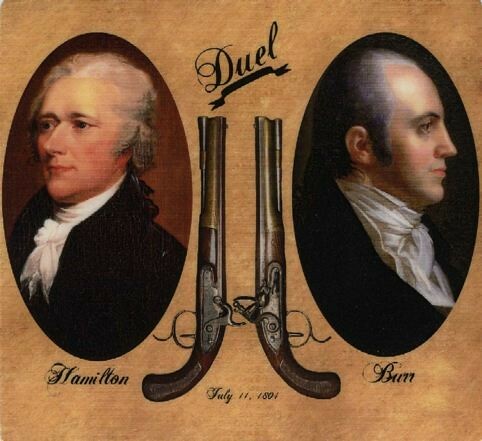 As we muse that things could always be– indeed, once were– even worse, we might recall that it was at dawn on this date in 1804 that Alexander Hamilton and Aaron Burr met on a rise in Weehawken (NJ) to resolve their differences with a duel. The rivals fired essentially simultaneously; Hamilton’s shot was wide, but Burr’s hit its mark. Hamilton died the following day. While there was a good bit of personal animus between the enemies, their feud was fueled by deep political divisions. It’s proximate cause: Republican Burr’s feeling maligned by Federalist Hamilton. But the bloody encounter was just one symptom of the deep animosity loosed by the first emergence of the nation’s political party system.